Secretary of State Mike Pompeo says his predecessor John Kerry is advising European and Iranian diplomats to wait out the Trump administration to salvage the Iran nuclear deal; Rich Edson reports from the State Department. President Trump and John Kerry entered into a war of words on Twitter Friday, with the president suggesting the former secretary of state had "illegal meetings" with the Iranian regime, and Kerry suggesting the commander-in-chief should be more concerned with the Russia investigation. "Mr. President, you should be more worried about Paul Manafort meeting with Robert Mueller than me meeting with Iran&apos;s FM. But if you want to learn something about the nuclear agreement that made the world safer, buy my new book, Every Day is Extra," Kerry tweeted with a link to the Amazon page to the volume. He added: "PS- I recorded the audio version, not Omarosa." The tweet appeared the be a sarcastic reference to former White House aide Omarosa Manigault Newman&apos;s practice of recording conversations in the White House. 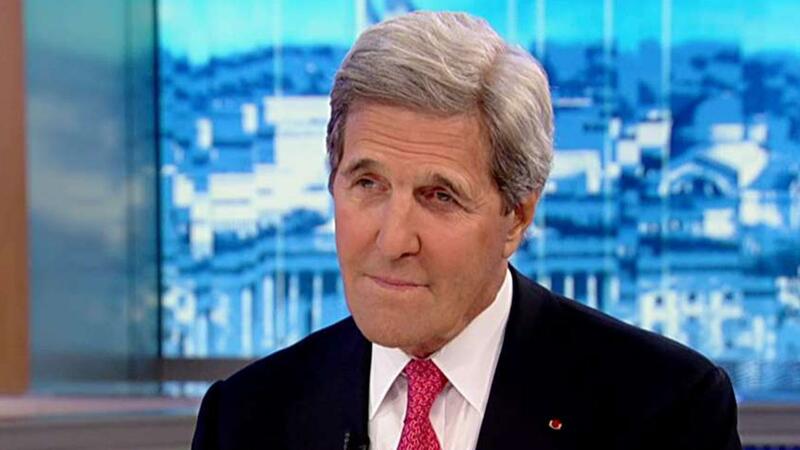 A spokesman for Kerry also defended the former secretary of state&apos;s actions. "Let&apos;s cut through the distractions and talk about real facts, not alternative facts. Secretary Kerry stays in touch with his former counterparts around the world just like every previous Secretary of State, and in a long phone conversation with Secretary Pompeo earlier this year he went into great detail about what he had learned about the Iranian’s view," the Kerry spokesman said in a statement to Fox News. "No secrets were kept from this administration. Like America’s closest allies, Kerry believes it is important that the commitments Iran made under the nuclear agreement, which took the world years to negotiate, remain effective. He was advocating for what was wholly consistent with US policy at the time." The spokesman added: "There’s nothing unusual, let alone unseemly or inappropriate, about former diplomats meeting with foreign counterparts. Secretary Kissinger has done it for decades with Russia and China. What is unseemly and unprecedented is for the podium of the State Department to be hijacked for political theatrics."